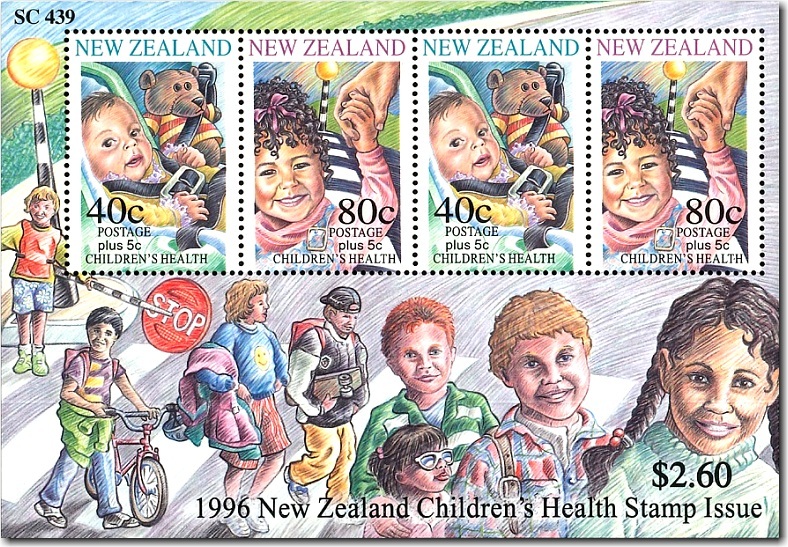 The 1996 Health Stamp focused on the importance of child restraint seats in cars. The 40 cent stamp showed a baby buckled into a child safety seat while the teddy bear beside is buckled into an adult seat belt. It was not until publicity material was sent out that it was noticed that the baby seat should actually be facing the other way and the arrangement portrayed in the stamp would be very dangerous for the pictured baby. Children under six months old are required to be facing the rear when travelling in a car seat. The stamps and miniature sheets were recalled and new stamps were printed in the week before the issue date. The new stamps had the teddy bear missing so that the public would not be at risk of mounting baby car seats facing forward. Inevitably though, around two thousand of the original stamps were sold to the public. 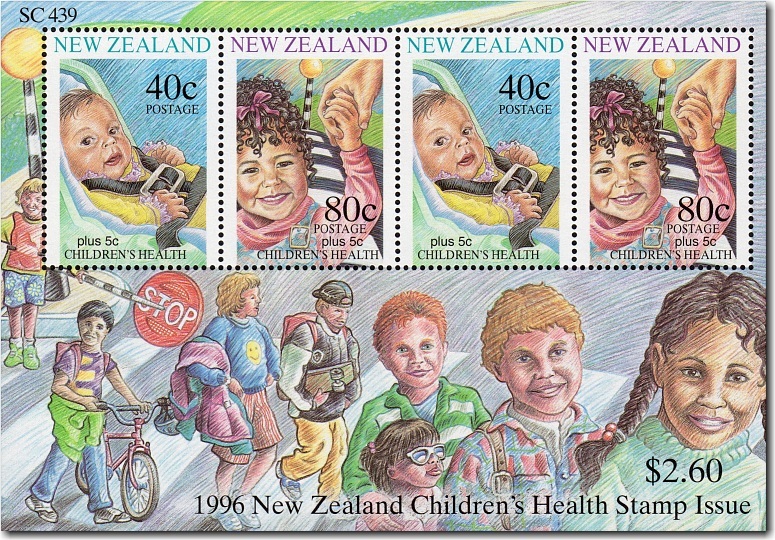 It is my understanding that New Zealand Post did not distribute any of the incorrect health miniature sheets or the 1996 Capex Exhibition miniature sheet but some copies were distributed by the printers - Joh EnschedÃ©.